The song was remixed by DJ and producer Benny Benassi, best known for his summer club hit “Satisfaction”, in 2002. 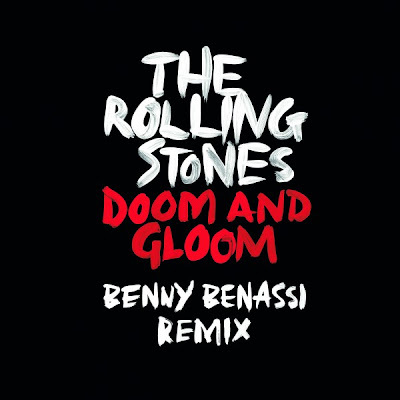 The original “Doom And Gloom” single was recorded in Paris and produced by longtime Stones producer Don Was, who has worked with the band on five previous albums (Voodoo Lounge/ Stripped/ Bridges To Babylon/ Live Licks/ A Bigger Bang). The Stones are preparing for their first U.S. 50 and Counting concert at The Barclays Center in Brooklyn, NY on Saturday, where they will be joined by special guests Mary J. Blige and Gary Clark Jr.